The letter is part sympathy note to Mrs. Egan on the passing of her husband and part thank you for a memorial gift that will be used to purchase ornamental plants and shrubs. 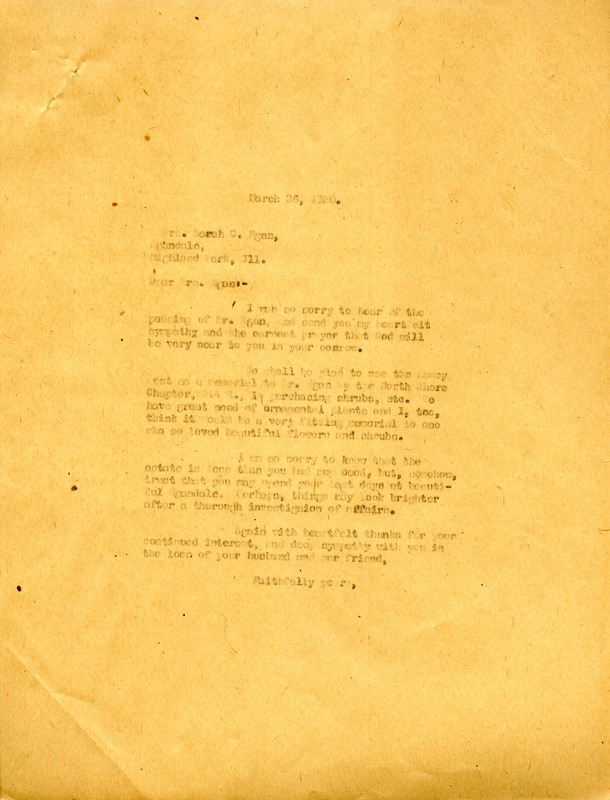 Martha Berry, “Letter from Martha Berry to Sarah Egan.” Martha Berry Digital Archive. Eds. Schlitz, Stephanie A., Mandy Tidwell, et al. Mount Berry: Berry College, 2013. accessed April 24, 2019, https://mbda.berry.edu/items/show/12466.